CrossFit Edwardsville has partnered with Body Comp, LLC, a veteran owned, local business to offer a state-of-the-art body composition assessment! Members of our gym receive special pricing! Click the link below to book your appointment or to find out more! CrossFit Edwardsville has partnered with our neighbor, Our Health Club & Spa, to offer access to showers (towels & body soap provided), a lap swimming pool, sauna, hot tub, and other amenities. Members of our gym can gain ALL-ACCESS to these amenities for only $10 a month. Call us to learn more. CrossFit Edwardsville encourages parents to find their greatest fitness whenever possible! To encourage families working out together, we offer childcare in a separate, dedicated children’s area with trusted caregivers. This is a free service available to all members of CFE! Click here to apply for FREE Childcare! Chances are, you want to SEE and FEEL a major change in your physique or abilities. You will learn EXACTLY what you need to do with your exercise and your nutrition to effect amazing changes in your look and abilities. 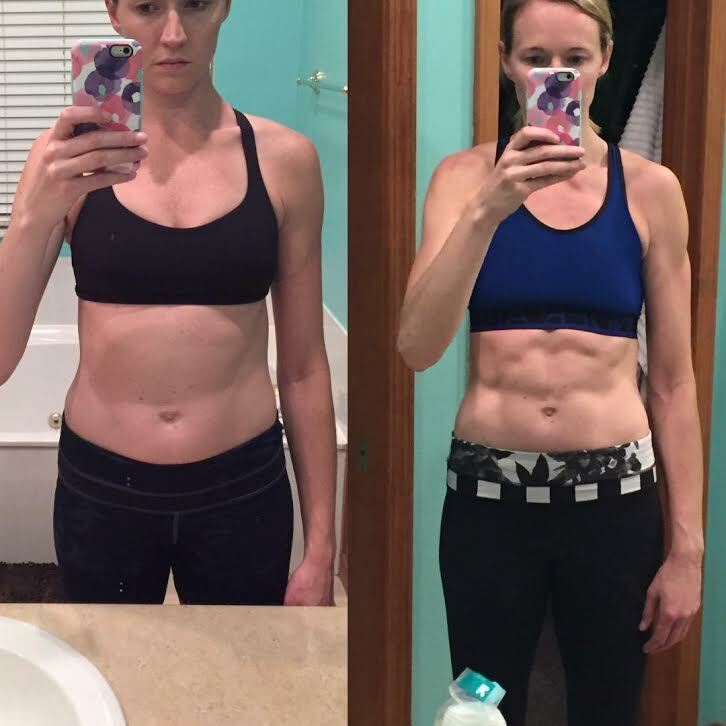 Click here for photos, testimonials, and other success stories. We have flexibility, gymnastics, weightlifting, strength, nutrition, mindset, all-cardio, and competitors' classes to help you troubleshoot weaknesses and magnify strengths. Our coaches are credentialed in CrossFit Gymnastics, CrossFit Movement & Mobility credentialed, Weightlifting, Nutrition, and more. If you're going to pay for premium fitness coaching, you want to know that you can trust your coaches. Our BBB A+ rating says it all. When you choose us to change your life, you choose a track record of trustworthiness, integrity, and honest business practices. We recognize that some people can't attend the regular class times, and need to have the flexibility to come in after hours, before hours, or at odd hours. We're proud to offer 24/7 gym access to everyone with Unlimited CrossFit and Unlimited CrossFit Plus memberships (once at least 6 months of gym experience is achieved). Now, you can get your fitness fix at 3 am on a Tuesday or 3 pm on a Sunday, if you need to. We're always open and ready to provide you with the best hour of your day. We bring in specialists in various areas of fitness to continually augment the knowledge base and skills of our coaches and clients. We only do business with the best here, because we demand excellence in all things. New to this? No worries. We’ll coach you through one of our progressive, structured, newbie-friendly onboarding programs. Everyone new starts in one of our onboarding programs so that you can safely and smoothly transition into our program. Both group and 1-on-1 options exist. Want to climb ropes, use high-spin Olympic weightlifting bars, throw around dumbbells & kettlebells, row on Concept 2 rowers, run on traffic free paths, do muscle-ups or ANY other CrossFit movement? You name it, we have the equipment for it- in enough quantity for our everyone in our classes to have access. Expect diverse, varied, and difficult workout challenges every day! We recognize that busy lives (and training for competition) often requires training at various times of day. We’re proud to have class times at 5 am, 6 am, 7 am, 9:30 am, 10 am, noon, 4 pm, 5 pm, and 6 pm; Foundations classes available throughout the day; and open gyms throughout the day and evenings so our members never miss out on the chance to get in killer shape. Further, our huge 2-acre and 6000-square-foot brick-and-mortar training ground allows us to host multiple classes at once. No matter when you need to exercise, we make it possible. CrossFit Edwardsville is seated on 2 acres of beautiful land, framed by forestry that makes it feel like a private getaway. We are also the only area gym with private paved running and prowler sprint paths. No other gym can enable you to experience outdoor training like this when the weather’s great. To augment your understanding of movement excellence,, there’s nothing like video replay. You can use video replay to better understand your technique. CFE was the first to offer onsite video instant replay for immediate review of your lifting and bodyweight exercise technique! CrossFit Edwardsville is the BND award-winning 2015 Best CrossFit, 2016 Best Fitness Center, 2017 Best Fitness Center, 2017 St Louis Post-Dispatch Best Fitness Center, 2018 St Louis Post-Dispatch Best Fitness Center, and 2018 Boxletes Best-Gym award-winner. Further, our gym has been featured in the CrossFit Journal (click to see the videos). We have partnerships with the best and cleanest supplement providers. Click here to learn more, and click here to access our store. We carry gear by brands like Reebok and Rogue Fitness so you get fast & easy access to the best. Click here to access to our online store! We're also partnered with the best local businesses to get special access for our clients. Check out our business partners below, all local leaders (some national leaders as well) and recognized for being top-tier.